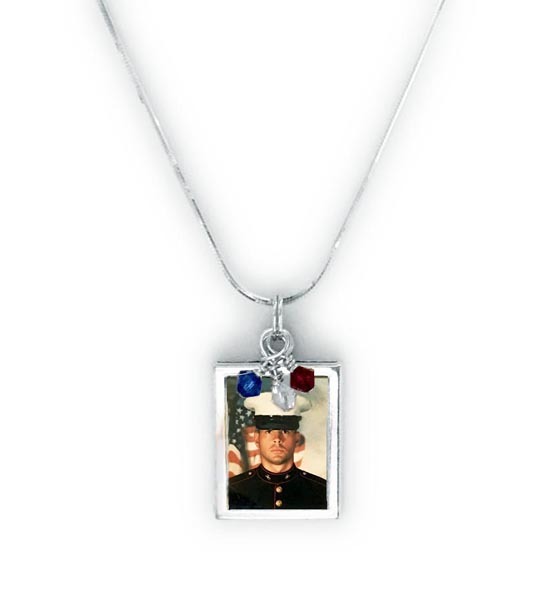 This Red White and Blue Necklace is for military moms, military wives, military daughters or anyone who loves the USA! 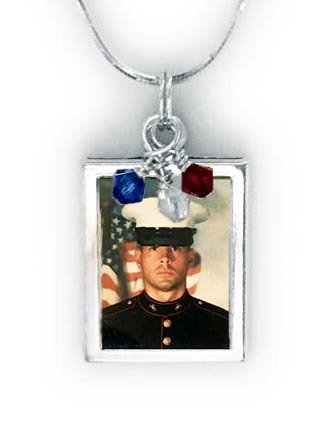 The open picture frame charm holds a picture in the front and back. The frame is on a .925 sterling silver snake necklace chain. I have 4 necklace options; Rolo, Snake, Ball and Leather. 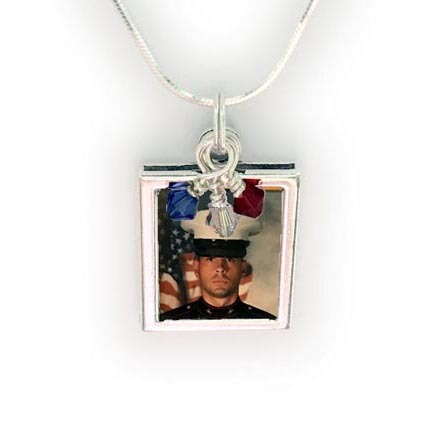 It includes the 4mm Swarovski crystal red, white and blue charms. This necklace (and all my bracelets and necklaces) can be further personalized. Just call or text me 615-490-2177 with questions or to place your orders. I make and ship everything the next business day. If you want to email me 2 pictures to insert, I would be happy to do that before I ship it to you. If you want me to insert the pictures for you, please give me 2 business days to get your pictures cropped, printed and inserted into the picture frame charm. 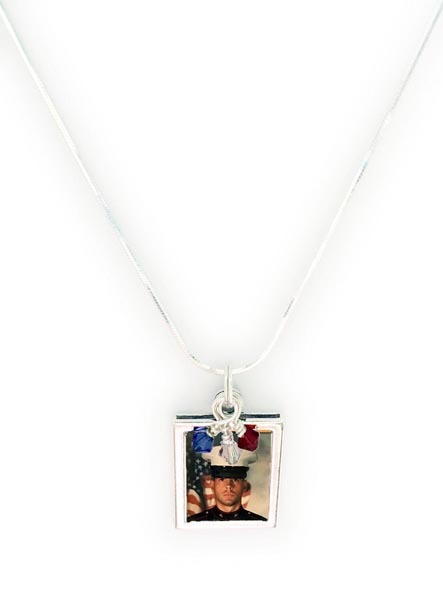 JBL-USA-N-RWB1 Gallery of Red White and Blue Necklaces with Pictures of service men. Shown on a sterling silver snake chain. You slip the picture in the top. You may have a picture on the front and back. Shown on a sterling silver snake chain. You slip the picture in the top. You may have a picture on the front and back. No picture shown.